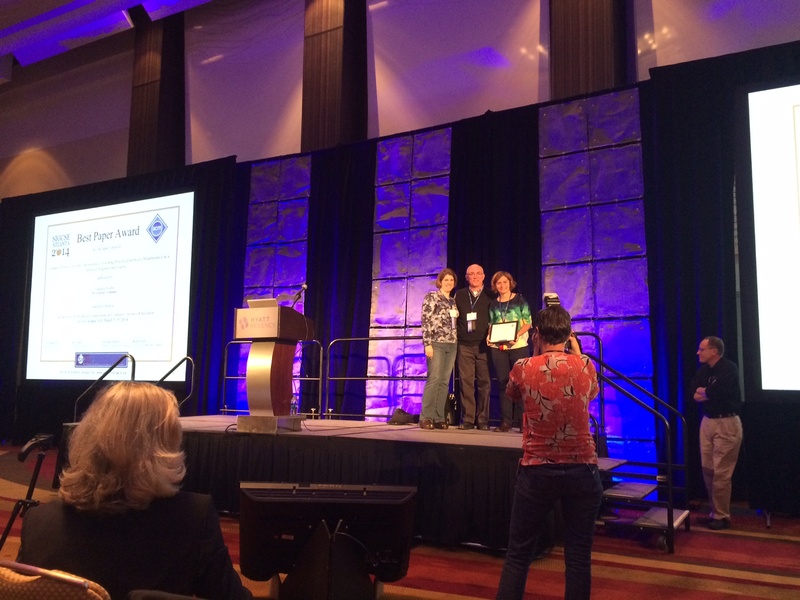 Congratulations to my colleague, friend and running partner, Dr Claudia Szabo on winning the SIGCSE Best Paper Award for a paper entitled “Student Projects are Not Throwaways: Teaching Practical Software Maintenance in a Software Engineer Course”. Claudia has three papers here because overachievement, but more seriously this is a fantastic achievement, especially for her first SIGCSE. This is also really useful research that has direct practical applications for people who are teaching Software Engineering AND we’re working together to build courses based on some of her earlier work on Neo-Piagetian analysis of existing courses. Here’s a picture! Yay, Claudia! Claudia Szabo holding plaque – like a BOSS!